Going on a camping holiday with children is the perfect opportunity to create superb memories for them! Which is precisely why our activities team prepares its games and invites children in the mornings and afternoons for stress relief, creativity and making new friends. Our hosts all have BAFA diplomas and listen to the children’s wishes to invite them to participate in large games, sports tournaments (ping-pong, handball, basketball…) And also workshops and quiet time. 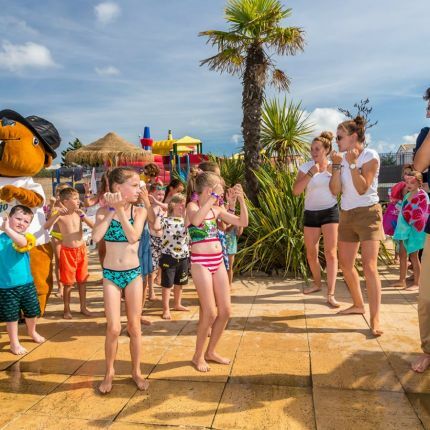 While your children are amusing themselves at the campsite, profit from the moment to go out as a couple and discover the surrounding area, enjoy a restaurant or simply laze about at your pitch or on the terrace of your mobile home rental. 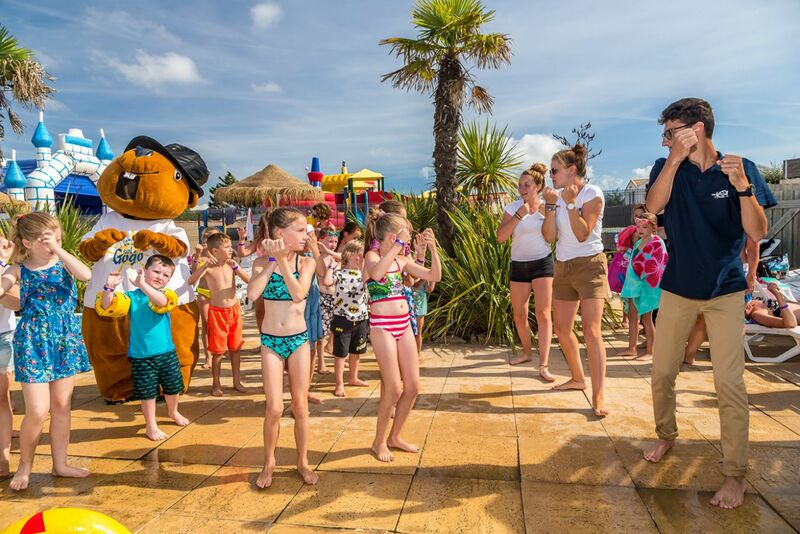 The campsite equipment is also available to children during their recreational time, like our inflatable games, our wooden games, our games room and even our multi-sports ground! 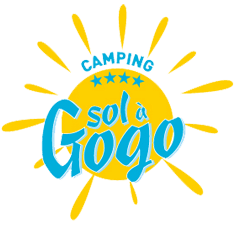 Beautiful holidays for children at the campsite: some info. The children's club is available from the first of June to the 31st of August. Theme days, children’s spectacles and evening events are regularly organised by our activities team. The games areas and inflatable structures will delight your children during your stay. Creative and recreational activities, games and magical memories will delight children of all ages in the club.